Learning about audiodrama and its many uses has been one of the grand adventures of our homeschooling and parenting journey. We were first introduced to the Brinkman Adventures last year when we reviewed Season 2 of their adventures. This review is about Season 3 and what we have learned in this last year about audiodrama. To read our review of Season 2, please feel free to visit here. The Brinkman Adventures for Seasons 1-3 come as both physical CD sets as well as digital downloads formatted for both MP3 use and iTune use. Season 3 that we are focusing on in this review consists of 12 different episodes that span over five hours of listening pleasure. The physical CDs come in a set of 4, while the digital download is a zip file that is approximately 550 MB in size. We downloaded the MP3 version and had no problem listening on our computer or transferring the episodes to both CD format and my son’s MP3. The Brinkman Adventures are truly appropriate for all ages and captivate both the young and old. Season 3 of the Brinkman Adventures literally takes you around the globe journeying from the Southern Hemisphere and up to Alaska; and from East to West. Each of the episodes is the continuing story of missionaries that are following their calling in reaching people of all nations and tribes. In listening to these audiodramas, it transports your child (and you) to the challenges of sharing the gospel in cultures adverse to the gospel as well as physical challenges in traveling to different areas around the world. Many children have a hard time understanding how others live in different countries and environments. These audiodramas help to bring that alive. Further, the episodes of the Brinkman Adventures bring the gospel message out of the church pew on Sunday mornings into the real world around us. It is the reality that the gospel is sometimes warmly received and at other times is met with resistance. When we take the gospel into our everyday lives and follow a calling to missionary service, there can be physical challenges. Challenges of imprisonment, weather, and safety issues depending on where the call may be. As parents we sometimes try to shield our children from these realities. I was impressed that these were honestly portrayed in the Brinkman Adventures, but they were shared in a way that allowed the listener to hear that in the midst of challenge, danger, and adversity, God never abandoned his children. What an important lesson for our children if they are to truly live on the edge for Christ! Each of the episodes was filled with adventure, excitement, and anticipation. These are all great elements for listening that will enthrall and entertain. 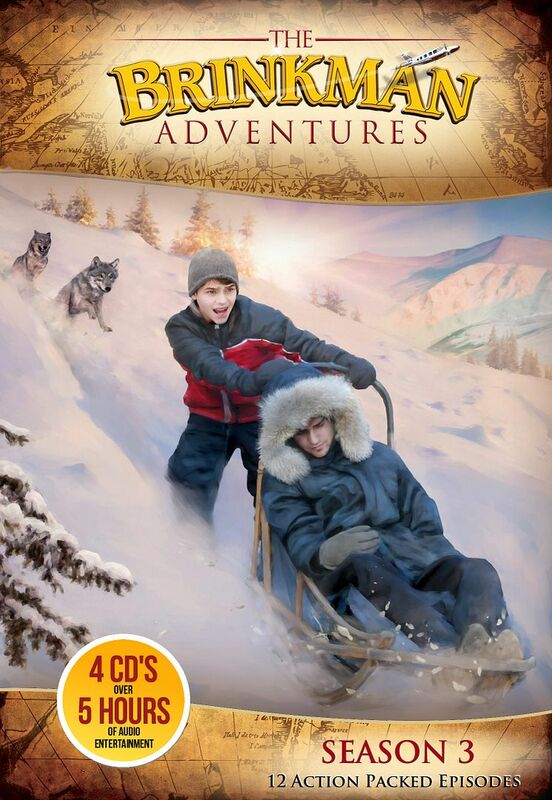 The Brinkman Adventures would be a great fun gift for any child. It opens up their world to great stories regardless of reading ability and certainly stretches their thinking and imagination to a much greater degree than video games or texting. Second, the Brinkman Adventures are a great way to bring missionary stories into your family devotional time. These are a great discipleship tool in discussing the mandate of the Great Commission and developing a heart for those that do not know Christ. Finally, our family has incorporated these adventures into our study of World Geography during our school time. By traveling with the Brinkmans, we get a taste for different cultures, map out their travels on the globe, and begin to realize the vastness of our world. As I shared at the beginning, our family had an opportunity to review Season 2 of the Brinkman Adventures last year. Something that I have discovered since then is that these adventures are based on the real life stories of missionaries. The names have been changed in the stories, but many of the key elements reflect the real life adventures of missionaries as they share the gospel around the globe. These stories are shared on the website here. I loved being able to travel to these pages with my sons to really bring home to them that these are real people and their real adventures in serving God. I do need to warn you that it is best to listen to the audio segments and then visit this page of real stories or you may spoil some of the adventure. The heart for ministry is not just contained in the story line of the Brinkman Adventures. They walk the talk as the different seasons of the Brinkman Adventures are available on a donation basis only. The company does have a suggested donation for each set of CDs or download, but if you are experiencing challenging financial circumstances they simply ask that you contact them via their contact page to request a CD at what you feel you can financially afford. For those that wish to support this ministry, larger donations can be made as well above the suggested donation on the website. As previously having served as a missionary, I admire this policy of Brinkman Adventures as they are truly trusting God in providing for the future of their work. Their heart for getting these stories out to families is remarkable. Our family loves the Brinkman Adventures. Our boys love the adventure. As a parent, I love the high quality story lines that help to disciple my children and provide great role models. And as a home educator, I love the fun it brings into our study of World Geography and people groups. The recordings have great audio quality with exciting dialogue complimented by great musical support and sound effects. The story lines are simply enthralling. 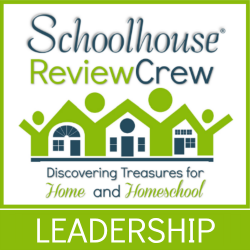 As always, I encourage you to read the other reviews from our fellow members of the Schoolhouse Review Crew.